After losing in game 7 of the 2014 World Series to the San Francisco Giants, many wondered whether or not the Kansas City Royals had missed their chance to catch lightning in a bottle and win a world title. Entering spring training, the feeling in the locker room was one of redemption and determination to get back to the World Series and make up for the loss last year. After a long season in which KC dominated the American League Central, the Royals finally brought home their championship and united a city which had been starved for a championship for 30 years. 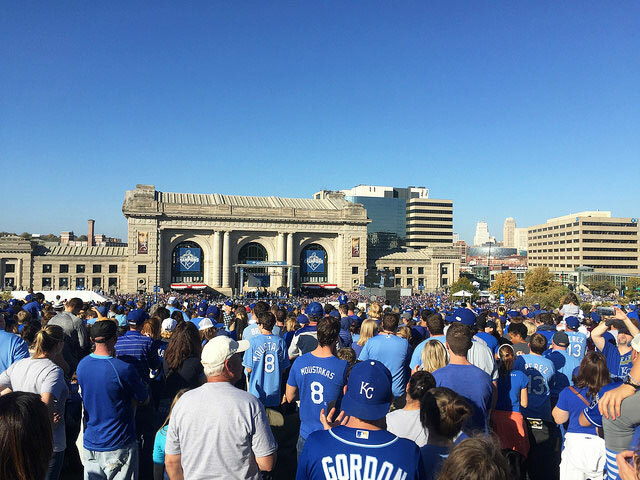 The celebration more or less shut the entire KC metro down for 36 hours. Power & Light was a complete mad-house until the early hours of Monday morning, and a parade and rally which took place throughout downtown, ending at Union Station, resulted in an estimated 800,000 fans gathering to cheer on their team and celebrate the biggest win in the history of the city. Everyone was a friend, Tuesday morning and afternoon. What the Royals were able to accomplish likely hasn’t yet set in for not only the fans, but in particular the players. A grind of 162 games, followed up by 16 playoff games, takes up what feels like an entire year, and to go from start to finish and end up as the last team standing is quite possibly the toughest thing in sports. The daily grind and a team which remained close and possibly grew closer as the season progressed is a testament to the type of player GM Dayton Moore brought to Kansas City over the past 8-plus seasons. The building blocks which Moore and the front office used to construct this championship will be studied relentlessly by other MLB organizations as the blueprint of how to produce a championship ball club which isn’t put together by insane amounts of money. There really isn’t one mainstream star on the Kansas City Royals, but an entire group of guys that show up every night, play for each other, and play for the fans. Multiple Gold Glove defensive players, a lineup of solid hitting, and a bullpen unmatched by any other team has become the formula for success in KC, and it looks to continue during this current window of opportunity. For now, the city remains in celebratory mode and doesn’t appear to lose any of that steam any time soon. This is a championship which will be remembered for years to come. Royals fans, the season might be over, but that doesn’t mean the excitement for another year of Royals baseball shouldn’t start early. The 2016 season looks to have all the promise of another playoff run, so don’t miss out on your chance to get your tickets to any of the 2016 Royals home games at Kauffman Stadium. The boys in blue will get their rings and hoist championship banners at Kauffman to begin the year. Witness all the excitement and choose from a variety of great seating options throughout the ‘K’. With zero hidden service fees, what you see is what you get, so head to Tickets For Less and pick from our incredible deals on seats. Go Royals!